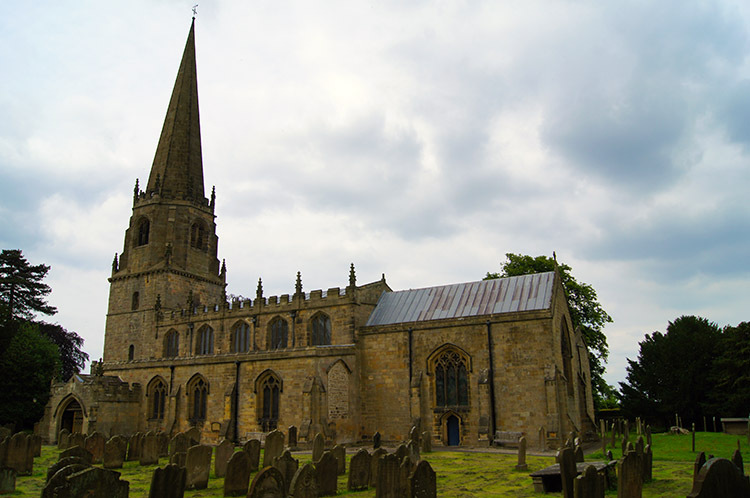 Summary: Masham holds fond memories for me. It was the first place I got to know after leaving my home village and travelling the country working in the water industry. It was the summer of 1976, the very long hot one which led government ministers to seek the help of Indian rain dancers to break the drought. 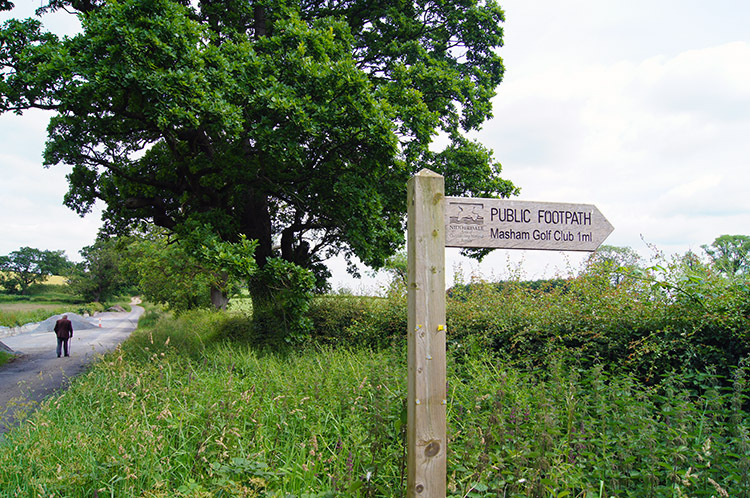 I have designed this walk to follow the paths I used in 1976 when travelling to and from work and those I used with new friends I met in Masham who showed me the places to visit within walking distance in the local area. I will tell you a few of the stories from 1976 on the way so let's go shall we. 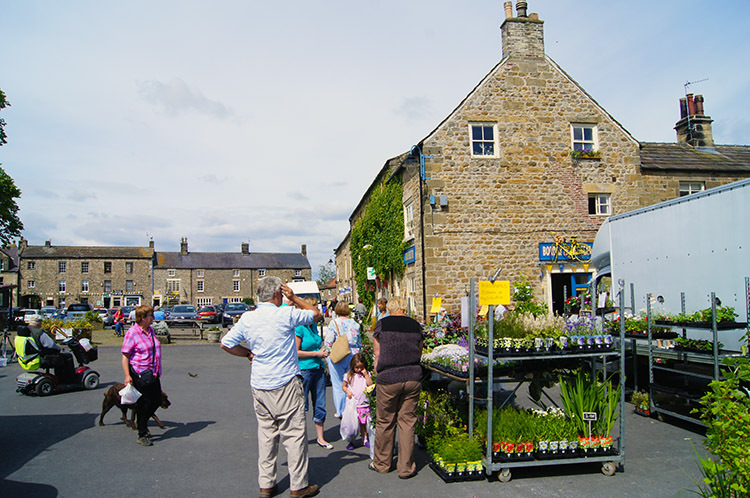 Masham is a small market town in the heart of North Yorkshire. It has a lovely town square where small markets selling local produce are held on a Wednesday. Can you guess which day I did this walk? I set off from the village square and followed the route of the Ripon Rowel along Red Lane and past Theakstons Brewery, famous for Old Peculiar. Now here is the first tale of 1976. In those days Theakstons left a barrel of beer outside the gates for passers by to sample the brew. We, my working colleagues and I often did. Just one of course. That tradition no longer occurs, there was no barrel to be seen as I walked past the gates. From Red Lane I followed Westholme Lane and then turned left as the road swung to the right to follow Foxholme Lane past the Jameson Animal Feeds factory. After the works all became rural as I continued along the Ripon Rowel. My walk so far was so familiar. 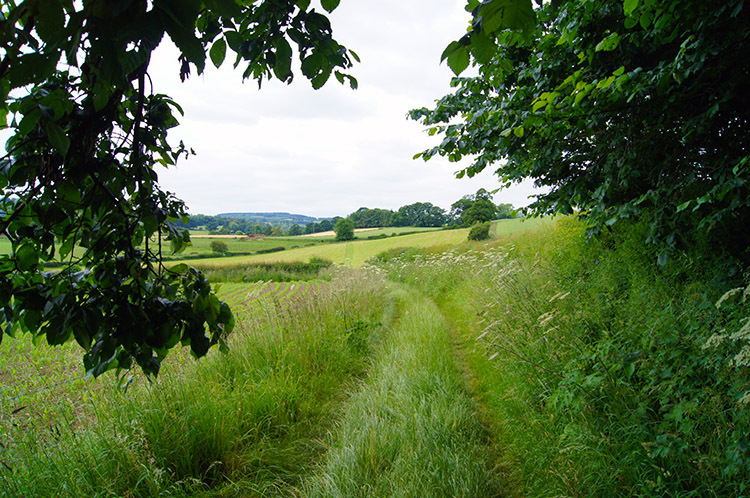 I had walked the path many times in 1976 as I was staying in the nearby village of Fearby while working in Masham. To get to my temporary home after a weekend afternoon or evening in town I walked the exact path I was now following back to my accommodation. 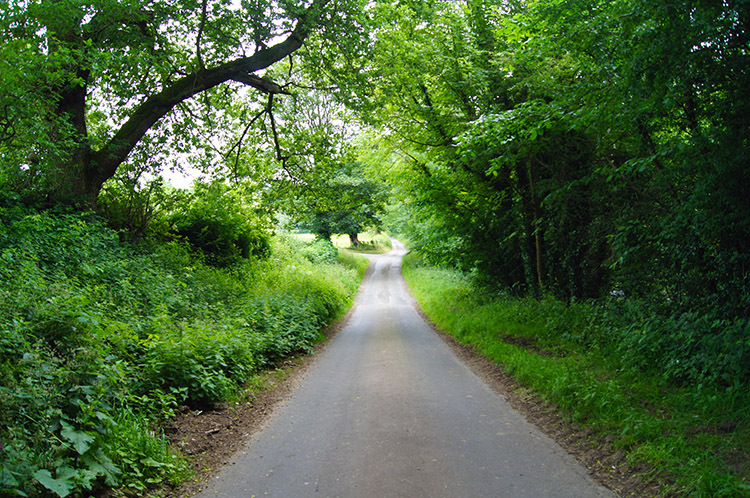 I was so full of nostalgia and I recalled it was as beautiful now as it was back in those youthful times, the lanes being closely edged by lush green growth and masses of nettles set just enough from the path as to not sting me. 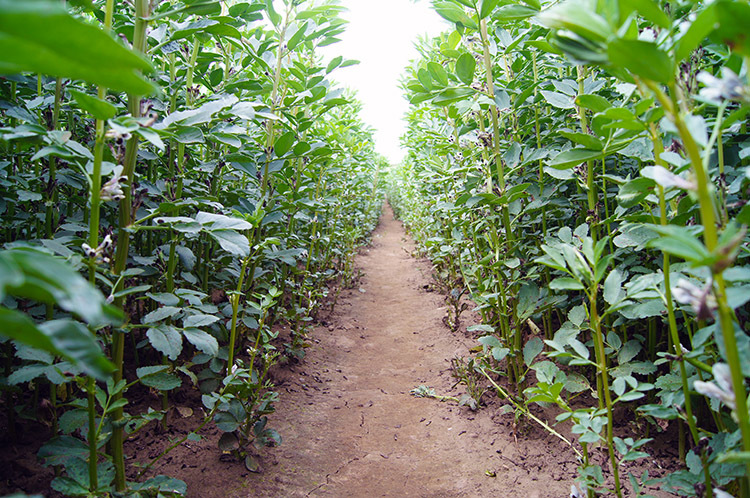 The fields were just the same too, all arable - some with cereal crops and some with broad beans but this time not ripe enough for sampling. 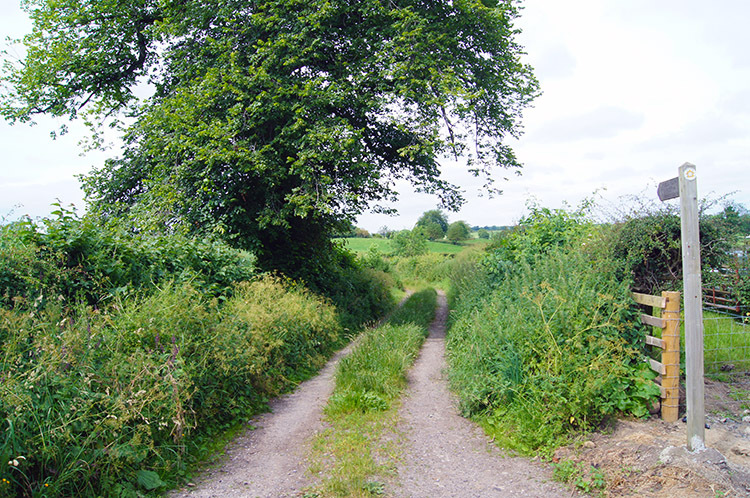 If the path had to cross fields the farmers provided generous wayleave for walkers. After following the Ripon Rowel across the fields I came to Micklebury Lane and followed the road south towards Havernook Lane. As I walked down the road I met an elderly gentleman who was out for his daily stroll. We chatted for a few minutes talking about the pleasant weather and lovely scenery we were both enjoying. e then parted company and as he continued north in the direction from which I had walked down the road I turned to a south east direction and walked along Havernook lane towards Shaws Bridge. I crossed the small road bridge over the River Burn and soon after left the roadside. 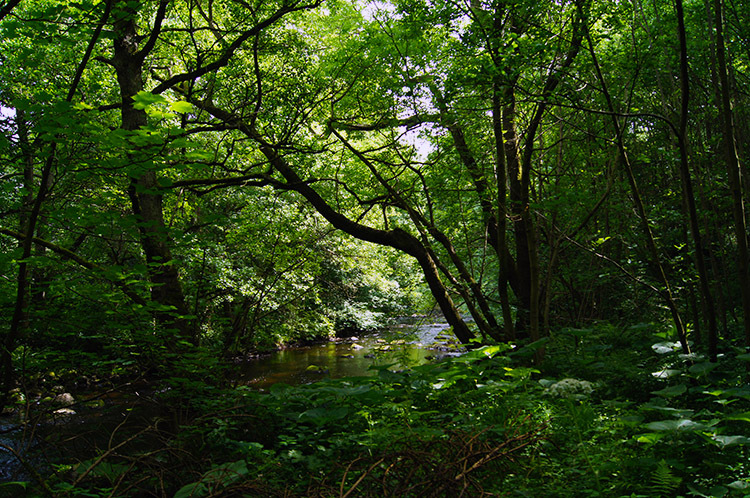 I walked leisurely across a field to the bank side of the River Burn. 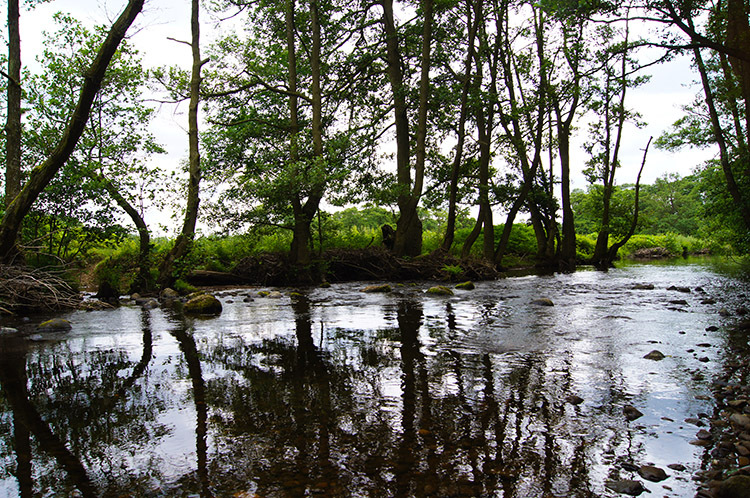 It is a delightful minor river which originates on Steel House Moor north of Lofthouse in Nidderdale and flows east for about 10 miles until it flows into the River Ure. Following the river for its full length is feasible and would make a good walk; one for the future perhaps. Today I would now follow it to its end. 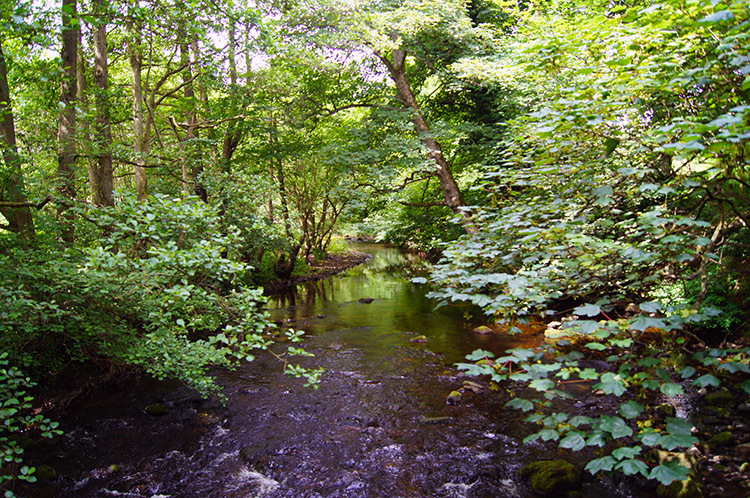 I strolled though delightful native woodland beside the River Burn for a quarter mile. 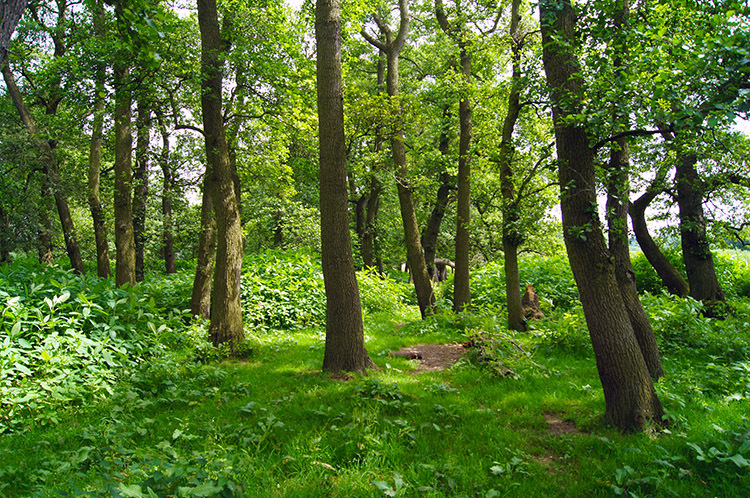 It was a thoroughly enjoyable section of walking with the serene sound of bird song accompanying me until I came out of the woods near to Masham Golf Course. A notice posted to a tree warned me to keep to the designated path. I thought "why would I not do so? ", preferring the natural beauty over the manufactured landscape. 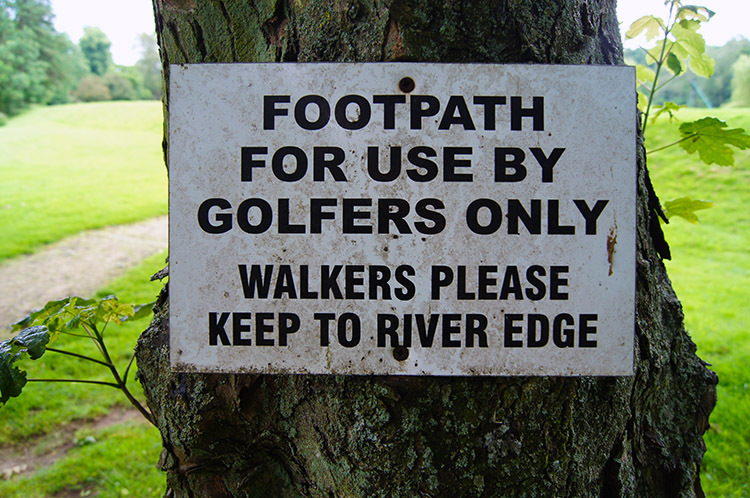 After crossing the Masham to Swinton road I continued on the path and keeping close to the river in a direction due east with the outlying holes of the golf club to my right. After passing the range of the longest drivers I continued alongside the river, ever as beautiful as before. I came to a bend in the river as it coursed south for about 200 metres and then to another bend as it reverted to eastbound. On each bend I stopped on shingle banks to stand quietly and watch the wildlife enjoying the environment around and in the river. Ducks and Moorhen were abundant here, enjoying their peaceful haven which I dared not to disturb. It was magical just to stand still and observe. After the meandering section of river I continued on through a small woodland copse where I inadvertently flushed a Pheasant from its hide in a thicket of fern. As a matter of fact it startled me as much as I startled it. On emerging from the copse I reached Low Burn Bridge, another place of the memories of 1976. While staying in the area I had befriended a group of local lads from Masham who, around teatime on a Saturday would walk down from town to Low Burn Bridge and lay fishing lines in the river. Not exactly legal, the river is part of the Swinton Estate and fishing without license was strictly barred; a carrot of an incentive to young lads. After the pubs closed we would all go down to the river and recover the lines to see what bounty we had caught. I will never forget the day I was carrying one of the ill-gotten trout in my hands when, on passing the first houses in Masham, the freshly caught trout stirred and leapt out of my hand and over a high hedge into the garden. I have always hoped the householders were very pleased with their unexpected gift. 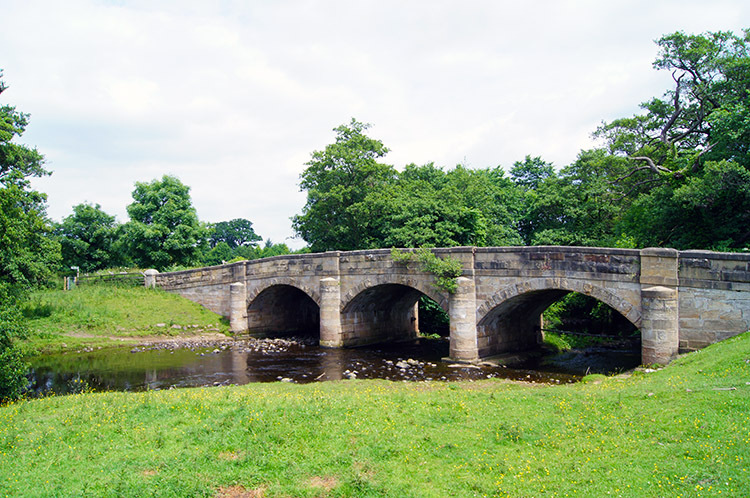 On reaching the road I crossed Low Burn Bridge and resumed my acquaintance with the Ripon Rowel to follow the River Burn on its final stretch to the River Ure. 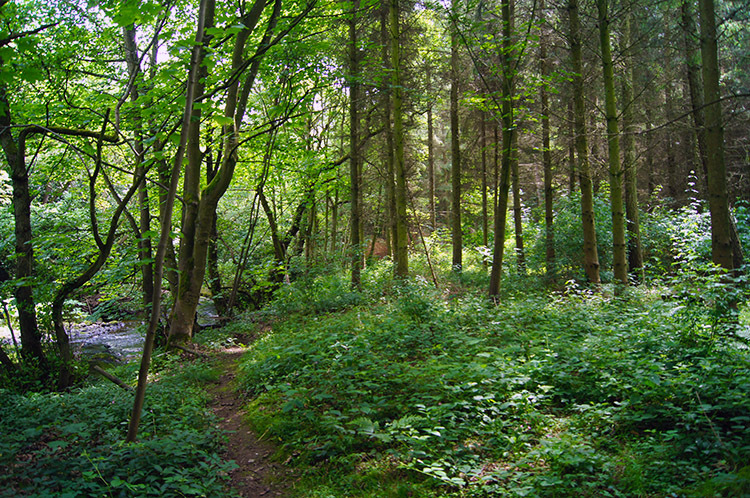 This was via another lovely woodland section of walking which ended where the Burn met the Ure. I emerged from the wood to the edge of a huge wheat field which I would follow around all the way back to Masham. On the field side were plenty of paths leading down to the side of the River Ure. At the first opportunity I did so, very near to where the River Burn ended to have my lunch. The lunchtime scene I enjoyed is the picture, above right. As I sat on a rock down by the river I watched out for Trout leaping from the river for flies. They did not disappoint and then it happened, one of those WOW moments I so wish for when out walking. As I sat quietly a Kingfisher flew right past me, directly in my eye line. It flew along the riverbank, about 6 feet in the air, past the gnarled old tree on the bank in the photograph before flying into cover just beyond it. I was so chuffed I had stopped in this particular spot for lunch. After the thrill of the wildlife spectacle during lunch I continued along the edge of the field until I reached a certain point beside the river where I could drop down to waterside once more. 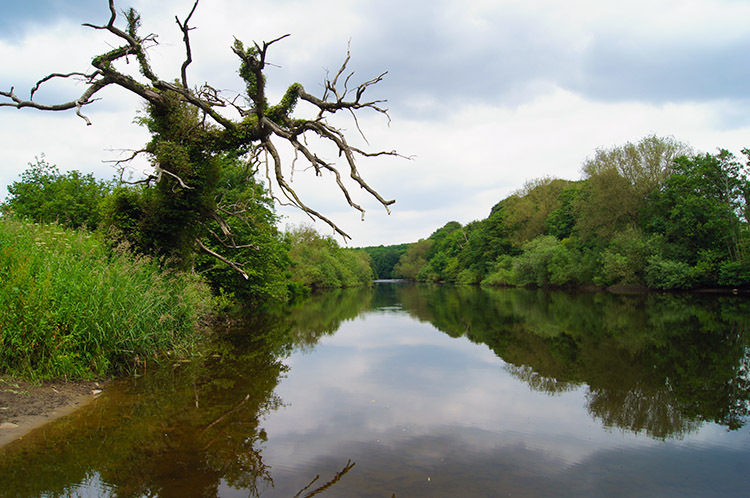 It was where there was a substantial shingle bank on the river and where I had walked to from Masham with my new local friends on a few occasions during that long hot summer of 1976. 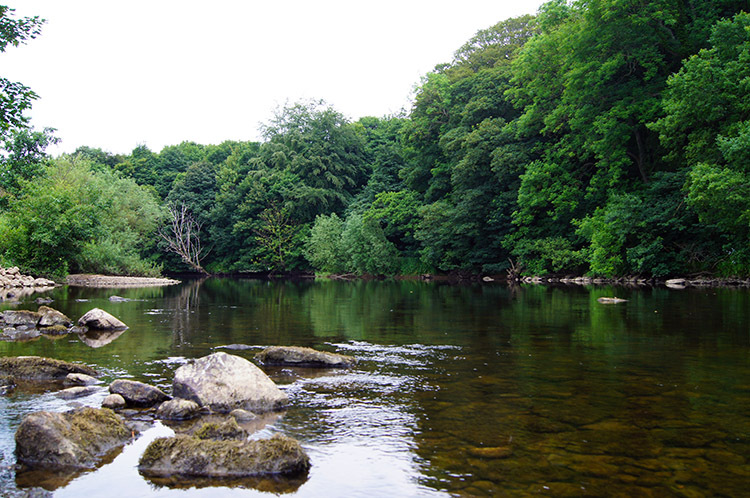 It was the spot where we used to swim in the River Ure. I happily recalled the halcyon days when we did so, days which were free of stress and so much fun. It was so nostalgic standing on the shingle bank and looking over the scene, though I was not going to jump in this time. I kept the swimming bottled in the past and the memory recaptured in the present. Climbing back from the riverbank I followed the field side path back towards Masham, leaving the field and the river near the town sewage works and then continuing on a bridleway towards town. Back in town I took a little time out to sit on the steps of the village cross in the market square and watch the stirrings. The market was still in a bustle of activity. A perfect ending to a special walk down memory lane.